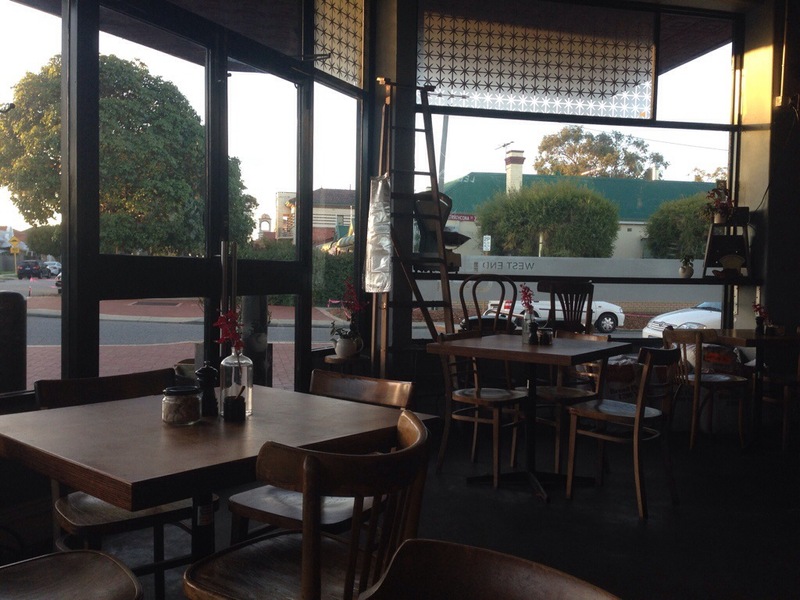 You’ll find West End Deli on Carr Street in Leederville, in a bit of a suburban haven. 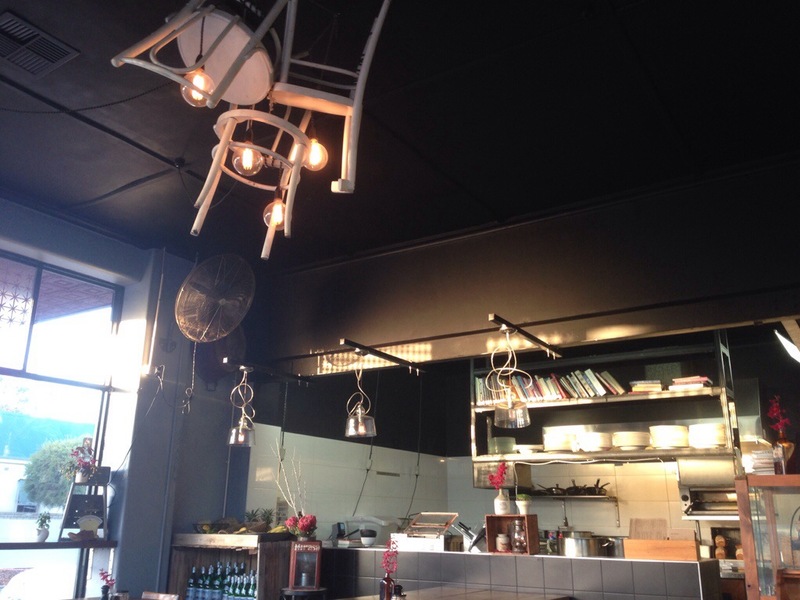 Inside the cafe is a clash of wood and sleek black. It is at once both playful and cleanly professional. The staff continued the good impression of the decor and took our coffee orders promptly as we sat down, returning soon after with menus and water. The service was that wonderful balance of attentive without being overcrowding, it helped that they too were immaculate in black with accentuating white aprons. First up was the coffee. 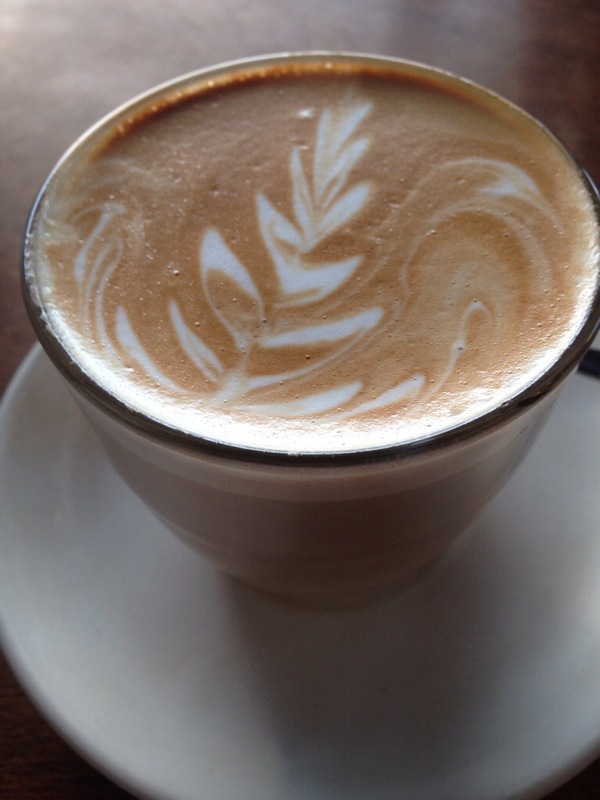 Its one of those coffees you often get from places that are all about their food, something decent but obviously lacking the effort that goes into their meals. The flavour was okay but it was served too hot, and the Vittoria beans were nothing special. We also tried a milkshake, it was on the expensive end of the scale but it was just divine. 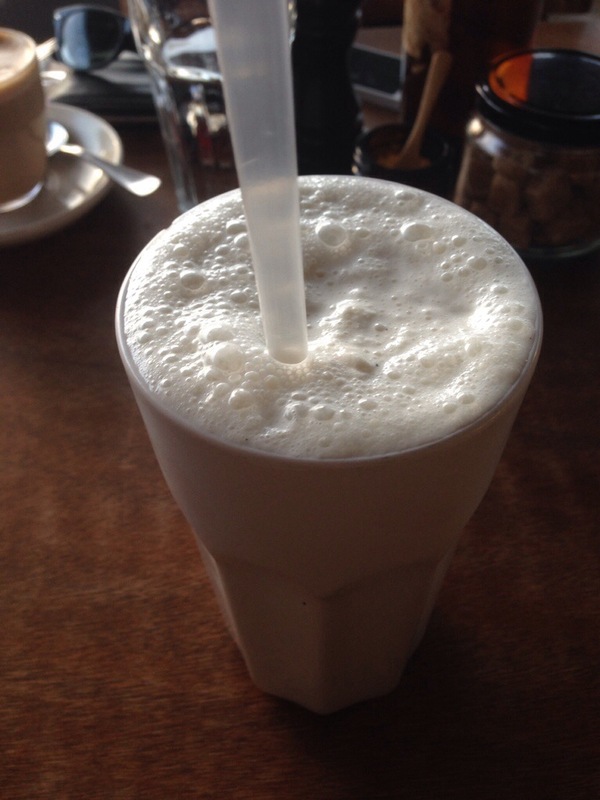 The vanilla flavour was beautiful and the milkshake was nice and thick. It kept the flavour and thickness throughout, just as it should be. Our first dish showed the ability to customise the menu, allowing us to select the choice of eggs, bread and a side to go with it. 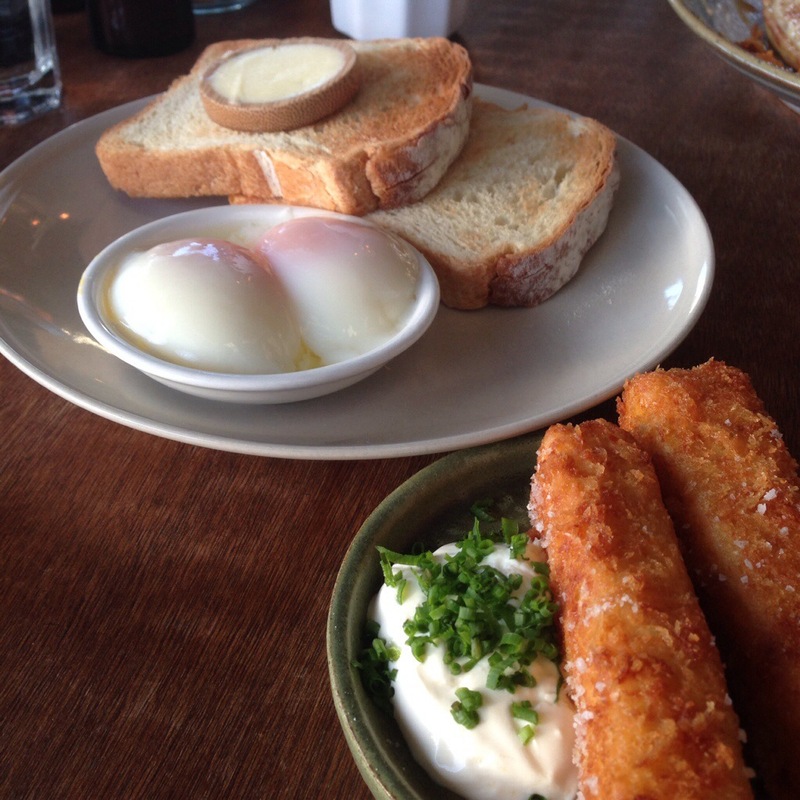 There were plenty of options but we went with the croquettes, white bread and slow poached eggs. The croquettes were divine, well seasoned, creamy and flavoursome, and the eggs were some of the best slow poached we’ve had. We loved that the yolk was the perfect consistency to get that ooze and the whites were soft but not runny. The only problem you can’t have with this kind of menu is the lack of coherency between your eggs and whatever side you choose, but we enjoyed having the choice more then it bothered us. 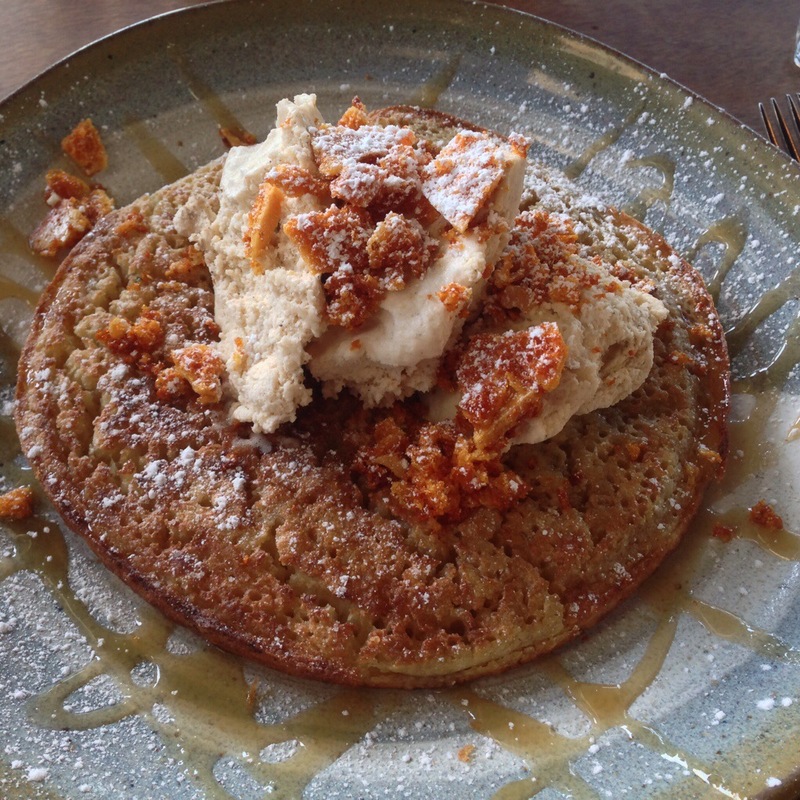 Our sweet dish was the crumpet, with honeycomb, honey and a vanilla parfait. This wasn’t just any crumpet, it was a giant crumpet, wonderfully holey and surprisingly well cooked given the size. The parfait was fantastic, light and creamy, a nice contrast to the crunch of the honeycomb. The dish as a whole was just sticky and sweet and delicious, leaving you full and happy. It had all the nuance we expected from West End Deli given their reputation. 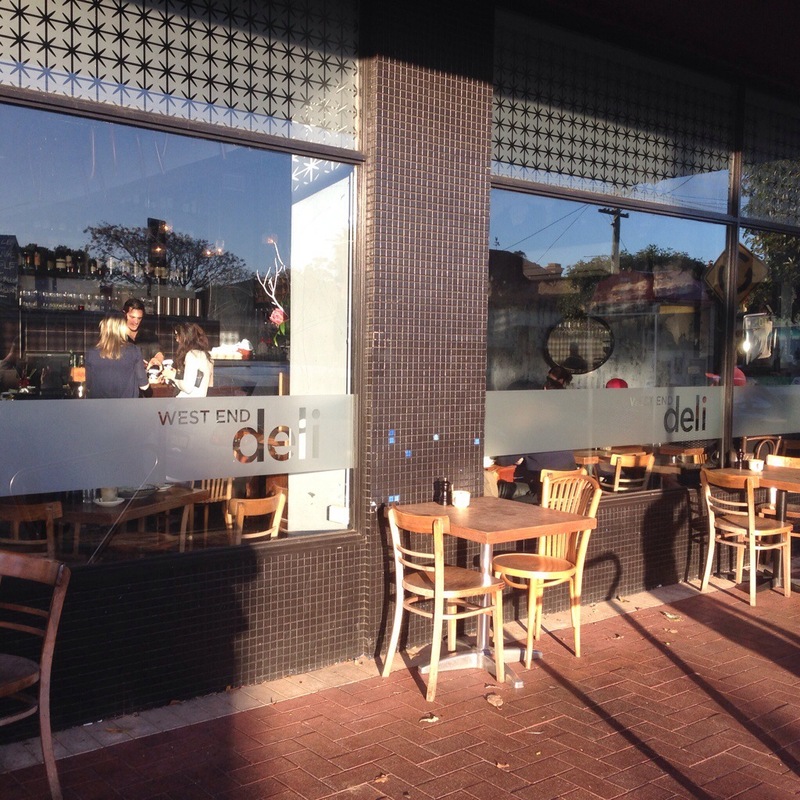 West End Deli deliver a superior dining experience, their service is spot on, attentive without being overbearing and their food is out of the ordinary. We would highly recommend giving them a visit!